Universal Credit Boss Has Been On The Sick For Nearly Five Months! 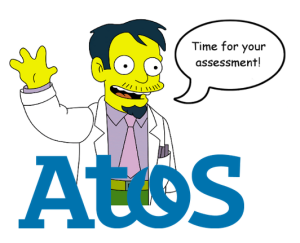 Where’s Atos When You Need Them? I wonder if the DWP is bullying Shiplee back to work, or happily handing over cash for him to stay at home? The man in charge of bungling the introduction of Universal Credit is currently only working a day a week after being on the sick since last Christmas. Howard Shiplee is the builder that Iain Duncan Smith brought in to rescue his doomed project to reform benefits last year. He is the sixth boss Universal Credit has had in the last two years and after just a few months in the job went on long-term sick leave. According to Computer Weekly, who uncovered the story, he was suffering from bronchitis which has now developed into something more serious. The publication claims the DWP are looking for someone to replace him behind his back.